Buying a home is one of the most expensive investments you will ever make and in many cases the most expensive investment you will make. As a home buyer and / or home owner you have hundreds of choices when it comes to selecting a home inspector. You can let your REALTOR or relocation company choose your home inspector. You can shop around for the least expensive home inspector or find an inspector with immediate availability. You can try and inspect the home yourself to save money. 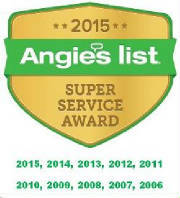 Full-Time Serious Professional Home Inspectors with years or experience and a construction background. Full-Time home inspectors that are new to the business and often have little or no construction background (almost half of the home inspection licenses in North Carolina and South Carolina have been issued in under the last 2 years). Semi-Retired Individuals that are looking for occasional work. Part-time home inspectors that work other jobs and are looking to supplement their income. Almost 1,000 local REALTORS, builders, contractors, and engineers have hired me to inspect the home they are buying or encouraged their children, parents, family members to hire me for their home inspection needs. I do not market my busines beyond my web site, busines cards and referrals. I do not pay money to be on preferred vendor lists, so you can be assured if someone is recommending me there is no comflict of interest. Entry into the home inspection business can be relatively inexpensive (in half of the states there is no state licensing board, so all someone may need is a business card and a screw driver). Full time dedicated home inspectors spend thousands of dollars on gear, instruments, tools, ladders, cameras, computers, and licenses to perform home inspections. Serious home inspectors spend thousands of dollars on insurance to protect themselves on the job site. Dedicated home inspectors join credible home inspection associations, such as ASHI (American Society of Home Inspectors) as well as smaller local associations to train and learn form other local serious home inspectors. Long term home inspectors spend countless hours reviewing new construction techniques, new products, and stay on top of product recalls. Professional home inspectors spend numerous hours and thousands of dollars every year taking continuing education courses to constantly improve their knowledge base and keep themselves on top of the profession. Over half of the home inspection licenses in North Carolina and South Carolina have been issued in the last 2 years. That makes your odds of getting a rookie, inexperienced, and/or untrained inspector basically 50-50 before you even make your first call. Paul King is a full-time, serious, dedicated, long-term, professional home inspector. I have performed over 400 inspections every year for several years and the majority of my business comes from referrals from previous clients; very few home inspectors can claim that. I encourage my buyers to attend the inspection and ask me any questions. I have invested thousands of dollars in gear, instruments, tools, cameras, computers, licenses, certifications and continue to do so. I am a licensed Commercial and Residential General Contractor in addition to being a licensed home inspector. I am a member of ASHI (American Society of Home Inspectors), the North Carolina-ASHI and a founding member and past multi year President of PAHI (Piedmont Association of Home Inspectors). I subscribe to construction publications to stay on top of new ideas and receive daily emails on product recalls from the CPSC. I spend over 20 hours every year on continuing education to meet the requirements of the North Carolina Home Inspectors Licensure Board, ASHI, and several other associations to which I belong. I am not a multi inspector company that may send out a trainee, part-time, associate, or less experienced home inspector. When you hire Inspector Paul, you get Inspector Paul. If you are looking for a full time, serious, dedicated, long term, detail oriented, professional home inspector to evaluate your new home please call me.